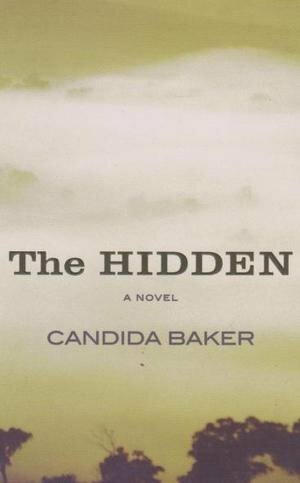 I was quite taken aback when I checked at Goodreads to discover that I had already read Candida Baker’s The Hidden. Yes, back in November 2000, not long after it was first published. Easy enough for a book to muddle itself onto the TBR shelves when it should have been on the Read Shelf, but how could I have read a book as gripping as this one and not remember it? But I had read it. Here’s what I wrote in my journal (with a couple of excisions to remove spoilers, in case you get hold of this book for yourself and read it). This is a gripping book, shifting in and out of time and place and narrator. The tale teller is Caroline Savage, narrating her story for her adult son Harry, but she moves from past to present in an anguish of uncertainty about herself, her motives and her own awareness. It’s good, very good. There is an intensely personal tone, Caroline writing of herself in the third person past tense when she can’t bear to confront what’s happened and reverting to first person present when she feels more confident. She is explicit about why she’s doing this, it’s because she is not the same person as she was back then. The confessional tone invites the reader to share her confusion and her sense of achievement when she moves on with some kind of personal growth. It’s a compelling portrait of a traumatic response. She’s angry with Paul for marrying her too soon after the death of his wife, the rawness of new grief well-captured. But more revealing is the power of unresolved grief and anger about events in her own life: abandonment by her father when she was a child, her own parenting choices, her inability to sustain relationships and at the heart of it all, the shocking denouement in the outback that makes the book unputdownable. It’s really quite a simple plot (reminiscent of Daphne du Maurier’s Rebecca in the way that it treats the theme of dead wife as rival) but the tension is superbly crafted and it works well. It’s always the trees, isn’t it? That’s the first thing I notice when I’m overseas, the trees are the wrong colour. Too dark, too bossy. And – just because I can – here’s an image of the Aussie King Parrot. You don’t have to venture into the outback to see vermillion parrots. We have these in our own back garden foraging in the pear tree, right here in suburban Melbourne. There are other books listed for this author at Goodreads, but only one other novel, Women and Horses. You can find out more about Candida Baker at her website. I buy almost all if my books from opp shops and rarely buy authors that I haven’t heard of. This one caught my eye a couple of years ago and I bought it. I’m glad my instincts were good on this occasion – I’m now keen to read it. So yours is the hardback too? I’m amazed at the production values, it’s very rare now to see a novel with images in it. No I’ve got my wires crossed – I read The Hidden in 2012 and I cannot remember a thing about it – not even what was hidden – it just hasn’t stayed with me. The book I was thinking about was The Longing by Candice Bruce – have you read that Lisa? Isn’t that strange? I read it first a long time ago too and couldn’t even remember doing it, and yet now my head is full of it. Yes, I have read The Longing, I thought that was a wonderful book, that’s the first time I understood the significance of those skin cloaks that Aboriginal women wear. Glad The Longing is good – I shall look forward to reading it. This is an interesting post, Lisa. Thank you for sharing your thoughts. I have always thought about forgetting books. I couldn’t remember the names of the characters from a few books I read last year. I am not sure if it happens because we are reading one book after the other. I think perhaps that this little excerpt from one of my journals shows how we grow as readers, but also that we focus on different things within a book at different times of our lives. A book that is rich in ideas and imagery offers a variety of interpretations which appeal to readers looking for different aspects of the same novel. That’s another reason why the rise of the book blogger is a wonderful thing for readers – and for writers – because the much greater variety of reviewers all with different life experiences and agendas of one sort or another, offer multiple reviews of the same book, lo0oking at it different ways. I really like the sound of this as I’m a big photography fan! Last year I found my list of books read in 2008 and could really only remember about half of them!